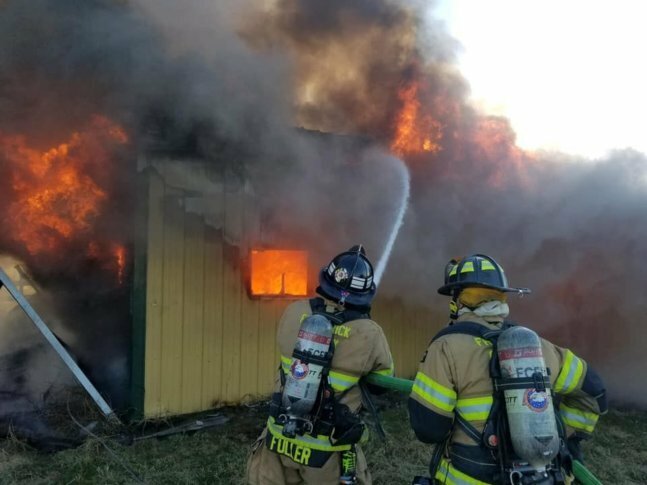 WASHINGTON — Eight horses were killed in a barn fire in Frederick County, Maryland, on Saturday. It happened on the 10000 block of Bessie Clemson Road near the Centerline Farm in Union Bridge. Frederick County firefighters arrived to find 70 percent of the barn in flames. Some 25 firefighters battled the flames for an hour to control the fire and spent another hour to extinguish it. The barn was declared a total loss. The fire marshal is investigating the cause of the fire.